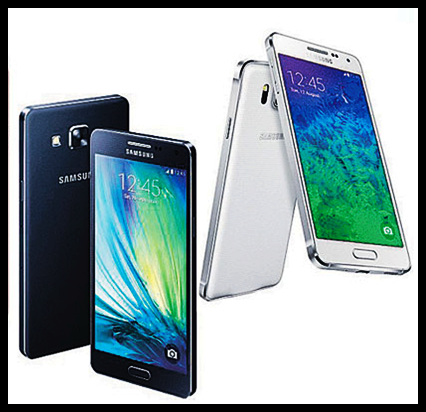 Samsung introduces a new generation of smartphones with the all-new Samsung GALAXY A-Series. The Cutting-Edge A-Series phones were launched at the newest and hippest party place in town, Valkyrie, during the January 14, 2015 event hosted by MTV VJ Yassi Pressman. Geez, you could imagine my excitement when I got invited to witness the launching of the new Samsung Galaxy A-Series. Donning a Samsung unit, I had that VIP feel as I accessed #TheALife entering through Valkyrie’s VIP lanes. Life is awesome when you are young and all the Samsung Brand Ambassadors for the Cutting-Edge Samsung Galaxy A-Series have good vibes aura. First Photo: The author with Adobo Magazine Account Manager Nicole Songco. Second Photo: Cha Sy with Yassi Pressman and Lauren Young, newest Samsung Galaxy A-series Ambassadors. As part of the mobile crowd of this generation there’s nothing better than having access to the A life – an awesome lifestyle that lets you freely express yourself and have fun the way you want to. The A life means being able to experience life’s greatest moments and sharing them with your friends. Those who want to experience the A Life can make it happen with the Samsung Galaxy A-Series with its slim, stylish and full metal design. Samsung Galaxy A-Series is Samsung’s first full metal smartphone which features both a stylish design and powerful specs.It is stylishly crafted with a slim, full metal body. It gives you a true-to-life viewing experience with AMOLED technology and is packed with a wide range of selfie functions to play with. Yes, my dear the A series features a first full metal unibody device that comes in a variety of colors and sizes, and advanced features that bring the Samsung smartphone experience to a new level of functionality. Sporting an advanced 5MP front-facing camera, it allows you to take better selfies with greater ease than ever—whether you’re bar hopping with friends, lounging at the beach, or exploring a new vacation getaway. Innovative photo-taking features, such as Wide Selfie, Voice and Palm Gestures Activation, Animated GIF, Beauty Face Features (Face Retouch, Eye Enlarge, and Slim Face), and Rear-cam Selfie, letusers take photos in high resolution by automatically detecting and focusing on a person’s face. To ensure that you always enjoy what technology has to offer in every facet of your life, the A Series was made for seamless multi-tasking and faster browsing experience. The A7 features an Octa Core (1.5GHz Quad Core and 1.0 GHz Quad Core) processor while A5 and A3 feature a Quad Core 1.2 GHz processor. In addition, the Galaxy A Series sports popular features exclusive to Galaxy devices, such as Ultra-Power Saving Mode, Private Mode and Multiscreen, as well as adjustable audio which intelligently adapts and enhances sound outputbased on the user’s surrounding environment. The Galaxy A7 is priced at Php 24,990, Galaxy A5 at Php 19,990 and Galaxy A3 at Php 16,990. It will be available in Samsung Experience Stores and authorized dealers beginning January 2015. Not only that, since Samsung wanted you to Access the A life, it will have a promotion on Jan. 24 to 25. I am so excited for the mobile crowd because you'll get to enjoy P1,000 off from the price tag, a free Valkyrie VIP card, free Content and Services vouchers and zero-percent installment for 18 months. What are you waiting for? Hurry and enjoy the new Samsung A-series. You can ask the world to end your doubts and questions, but the answers to it all are within you. You are the Answer.